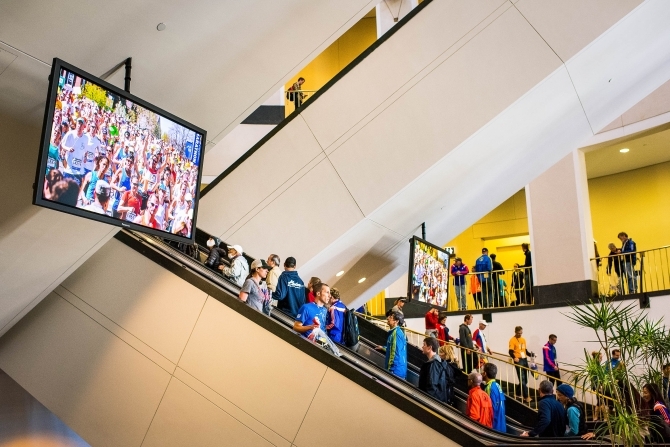 The Hynes has 21 networked LED displays ranging in size from 52 to 85 inches that are strategically located in heavily trafficked public spaces. The Digital Display Network allows you, your exhibitors and your sponsors to reach attendees anywhere in the Hynes. They can be used to display event schedules, sponsored content, educational videos, live feeds with sound, and more–the possibilities are endless. The Digital Display Network is designed to enhance your event, promote your brand, and highlight event sponsors and exhibitors.